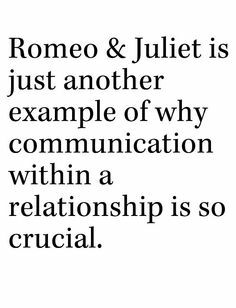 In my Lessons in Love blog, I talked about the importance of communication. My husband and I don’t argue often, but we do on occasion have to have a conversation that will affect us individually and/or as a couple. Just recently, we needed to sit down and talk about a major change – stay in Saskatoon or move back to our hometown of Ottawa. This would affect our relationships with the people we love and each other, it would affect our careers, it would affect our finances and it would affect our overall life, or more specifically, change our day-to-day that we have gotten used to. Because we have always worked on having a solid communication foundation, the conversation and the outcome was all 100% positive. We have been together for 15 years and you can’t spend 15 years of your life with someone without ever having to have a difficult conversation or make a major life change. We both feel like we have mastered it because it is one of core relationship values. If you share your life with someone, you will have the marriage talk, children (to have, not to have, or have more), relocating cities to start a new career, quitting your job so you can go back to school, maybe he/she hurt you in some way or isn’t showing up the way you want them to and you want them to know. And of course, there is always the difficult conversation around money and finances. All of these can sometimes feel uncomfortable when you are afraid of hurting the other persons feelings or you don’t know how they react or if they will support your wants, needs and desires. If you are not willing to speak the truth and listen to each others wants and needs and respect those wants and needs, it will cause cracks in your relationship foundation. Honest, open, non-defensive, and loving communication, even when (especially when) it is something difficult, is your strongest foundation. It will help hold up every area of your life that you live and share together. When the wind blows and brings, change, tragedy, challenges, pain, hurt and loss, you will be able to get through it with strength and together because together you have built a strong, sturdy, steady, indestructible foundation. To make your next conversation a constructive one, here are my personal ideas for setting the scene for a positive couples chat. Set your intention for the beginning and end of the conversation that you want to have. What is the outcome that you want? How do you want to feel? How do you want your partner to feel? Is it a conversation that can have a resolution in one sitting? Make a list of everything you want to say. This is similar to setting the intention. Emotions often bubble up and this will help you stay on track. Talk about the in-the-moment topics, and avoid getting defensive and bringing up things that happened 5 years ago in order to hurt the other person or prove a point. Stay on track, remember your list and focus on your intention. Set the mood. Sit in a comfortable, calm and relaxing area in your house. Set the lighting, make sure you are comfortable and make sure you have set aside the time to get through everything. Pour a glass of wine, or if you don’t drink alcohol, make your favorite drink and put it in a fancy glass. Celebrate the fact that you and your partner are able to openly and honestly discuss your life. Get rid of all distractions. No phones, computers, gadgets or any digital distraction. This will make you both feel like you are important to each other and nothing else matters. Most importantly, if there is no resolution on the first try, don’t say everything is fine and then bring it up again 3 months later. If there is no resolution, either keep talking or say that it was a great start, but you may need more time to think of a solution. A killer of all open and honest communication is lying and saying, “I’m fine.” “Nothing is wrong.” “You should just know.” People are not mind readers, so be honest about what you are truly feeling.